Letting go of control can be one of the hardest lessons to learn and yet it is one of the most paramount lessons when dealing with an aggressive and fearful dog. 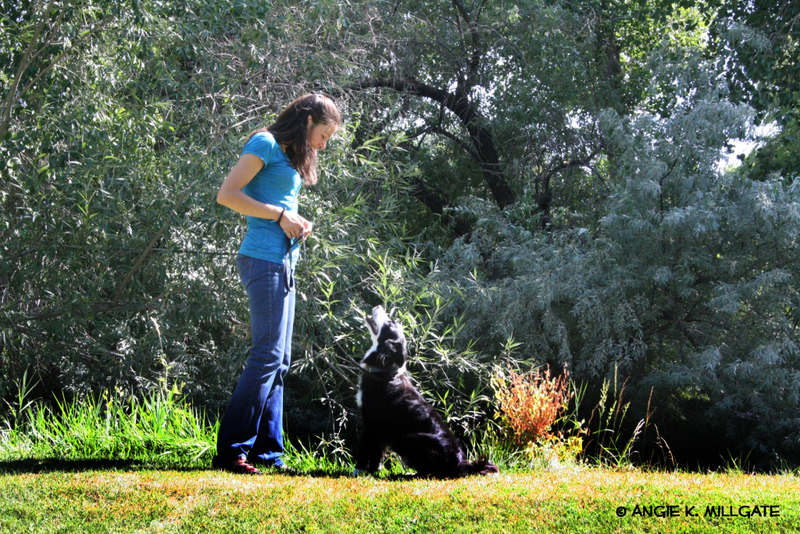 As a Salt Lake City dog trainer, I see many of my clients striving to push fast to their end goals without acknowledging their dog’s behavior. It is not only ineffective, but also extremely dangerous to push a dog past their limits. In my personal life, choosing control over my dog, my husband (at the time) and my daughter has created nothing but tension between us. When my daughter didn’t want to brush her teeth and I forced her to endure, she fought and screamed. When my dog didn’t want to get in the car and I wanted him to come over right away because I felt it was important to leave now, he ran away more and his obedience decreased. When I wanted my husband at the time to stop being an addict and constantly reminded him how I didn’t like his behavior, he used more. A great saying is what you resist, persists. When training an aggressive dog with people, I sometimes use a technique called counter conditioning. We pair the sight of the person with something desiring to the dog such as food. In time, the dog begins to associate the person with good things and his emotions begin to shift. We also start at a distance away from the person and gradually decrease this distance as the dog is ready. His behavior shifts to feeling more relaxed and happy. 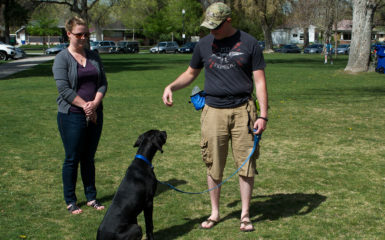 When dealing with dog training, Salt Lake City clients of mine want to push their aggressive or fearful dogs to feel more peaceful and calm before the dog is actually ready to experience this emotion. 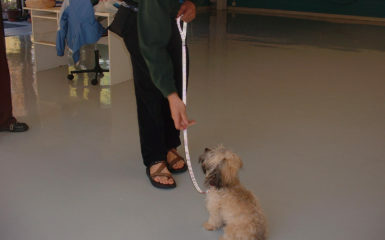 These clients tend to want to control the situation rather than allowing the emotions of their dog communicate to them. The owner is likely to decreases the distance between the dog and trigger too quickly and the dog will become stressed and may react intensely. 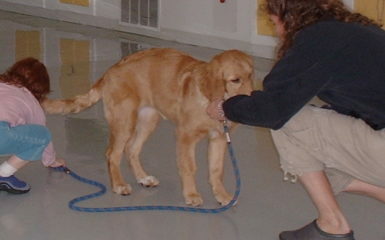 Letting go of control is an important aspect of dog training. Salt Lake City is full of my clients that are learning this aspect. As these clients learn this important concept they decrease the distance slowly and watch their dog for relaxation signs. As the dog becomes relaxed, the owner then decreases the distance between the dog and the trigger. This is called systematic desensitization. The aspect of letting go of control requires you to look within. 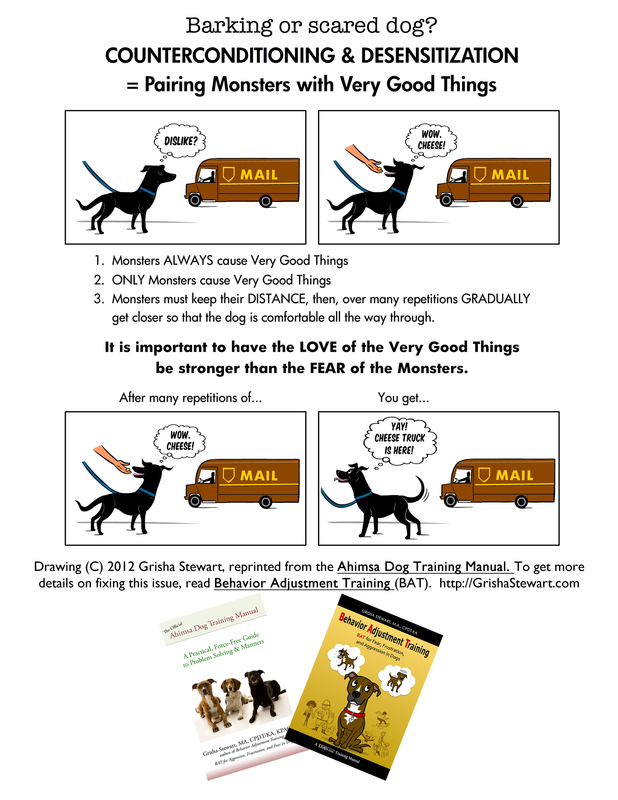 Even if you are moving slowly and reading your dog’s behavior to determine the next step, it can be easy to mentally want to go faster. 1.) Meditate as you train. Be in the moment. Feel the treats and the clicker in your hand. Feel your feet on the ground. Take in the now. 2.) Slow down your breathing. Breathing through your belly is very healing and can support you in being in the moment. 3.) Journal your thoughts about the training you just had. Become aware of the thoughts that go through your head. See them and become an observer of those thoughts instead of letting them run your decisions. 4.) Practice frequently. If you train your dog often, you will definitely progress faster than someone who only trains once or twice a week. 5.) Fill yourself with compassion and understanding. Put yourself in your dog’s shoes. 6.) Release any intense thoughts and emotions. Do some great self compassion meditations. 7.) Receive regular and consistent support. 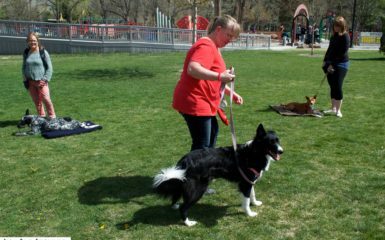 Get the support of a professional Salt Lake City dog trainer. As I dive into my clients pain, I hear in addition to changing their dogs behavior they want to experience more peace with their dog. So I will leave you today with this quote: “My worrying will not solve” my dog’s “problems, and it only creates problems for me. That leaves today, this moment for me to live, love, work and enjoy. All I have is this moment. Today I will live in the NOW.” – Today a Better Way from Families Anonymous. How do you attempt to control your dog? What did you learn from this post so that you can accomplish your goals with your dog and let go into the now? That is awesome! Yes they apply to ALL aspects to life! It is wonderful to hear you found them useful! Namaste! Great post. There is so much focus on the dogs, that we sometimes forget that we need to look at how we behave too. We try to control the situation for various reasons, and when it comes down to it, how important is it to walk down the lane without stopping, or get in the car straight away? You are completely right about rushing to the end, and feeling we must get there, but if we use your steps and work in the moment, there is no pressure to ‘achieve’. Fantastic advice. Great insights, thanks for sharing! It is really as much about ourselves as it is about the dog. I do believe that animals reflect back to us what is going on within ourselves. That is so cool that you have that awareness. You will get far in life knowing about reflection! Namaste!